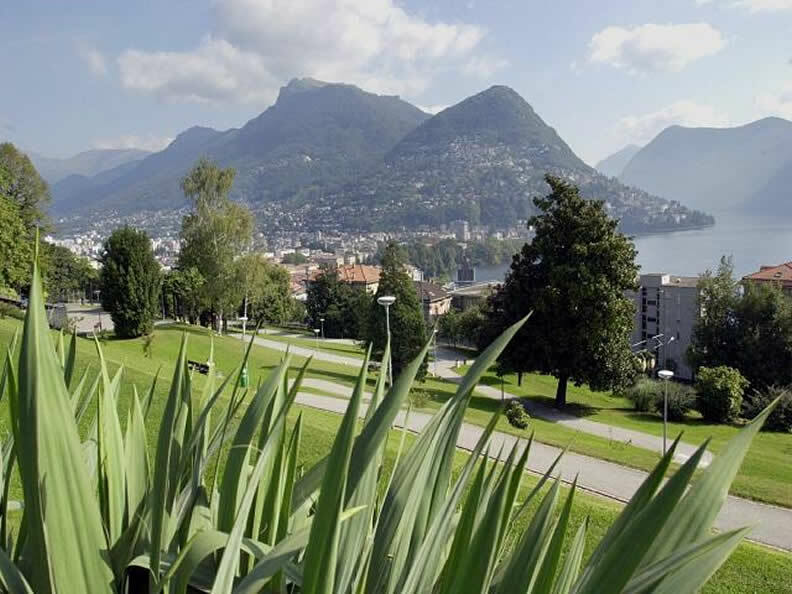 Near the railway station and a few minutes from the center of Lugano, is a wonderful place of serenity: the Tassino Park. What is now the Parco del Tassino was a time the hunting lodge of Enderlin, nineteenth wealthy family, owners of a beautiful villa on the hill of Tassino, in the lower part of the park. 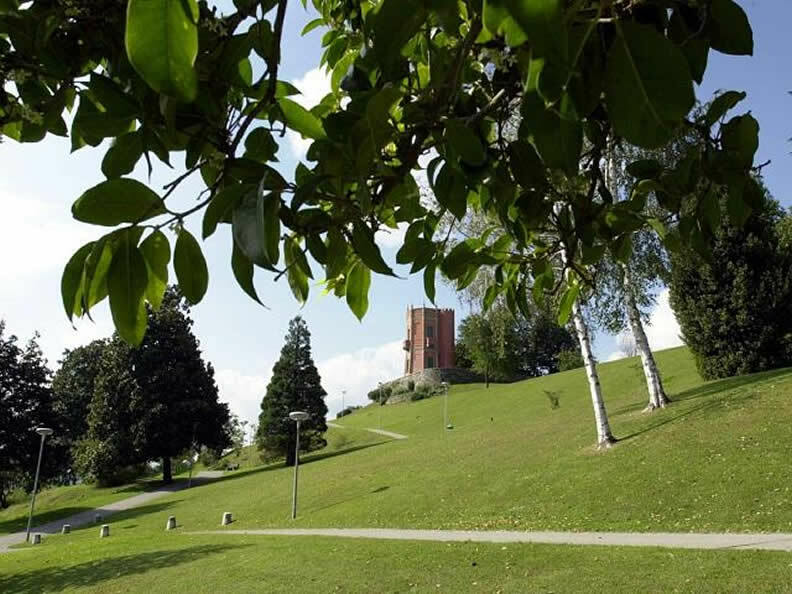 Near to Lugano railway station, this 21,000 m² park features wide avenues meandering across a slope, up to the top of the hill, where the Enderlin tower, of a pink colour, rises up. 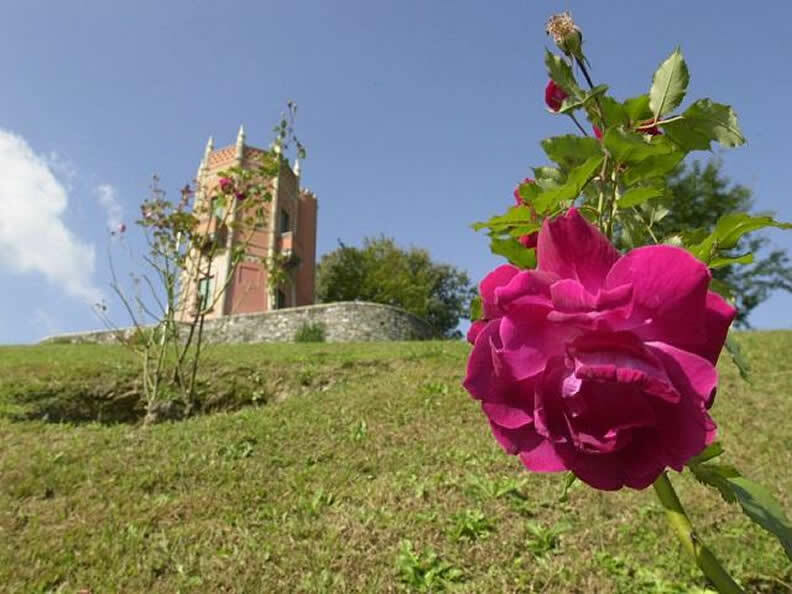 At the foot of the tower is a square from where you can enjoy a panoramic view of Monte Brè and the stretch of lake that reaches as far as Porlezza, on to Monte Sighignola, above Campione d’Italia and Monte San Salvatore. From the viewing platform, Lugano lies at your feet, spread around the gulf of Lugano. The park’s sunny position encourages the growth of many species of rose, magnolia trees originating in New Zealand, Japanese cornus and rare varieties of blue, red and white Chinese wisteria and a wide selection of shrub roses. Scattered through the whole park are sweet gum trees, honey locusts Ilex, chestnut trees and evergreen magnolias.